Jailbreaking your device is a task quite easy to achieve today; there are several tools and guides available to your disposal that guide you through the process, and they are all quite simple and easy to follow. Jailbreaking gives you access to Cydia – the magical place filled with troves of tweaks and apps for your pleasure. Although Apple might hate you for jailbreaking, it does give you access to some serious amount of tweaks for your iDevice, that let you customize the behaviour of the OS exactly as you want. You can even make your iDevice look different, not just with a custom case or a sticker but changing how the software looks itself. Let’s discuss some best sources for Cydia through this post, but before that, I would like to tell the fundamental things about Cydia for better understanding. Cydia is installed by default on every jailbroken device, without Cydia jailbreaking your iOS device would be worthless. Cydia is where you will find an unimaginable amount of customization for your iOS device while doing so you might also find an incredible amount of cracked apps for free. Cydia is basically where you go to when you are tired of living in Apple’s expensive happy-go-lucky theme park of an AppStore. What are Cydia sources list? 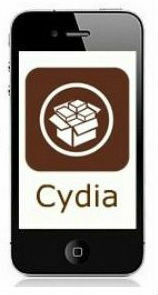 Cydia doesn’t quite work as the Apple App Store does – Cydia relies on repositories, also known as sources. These Cydia sources list hold all the actual content that is presented on Cydia. Without these Cydia sources list, Cydia would be a barren store with nothing on it. Apparently, the Cydia sources list fulfil a valuable purpose. But they also bring a risk of malware, since the sources are maintained by individual groups, and you can add whatever sources you want. Having the ability to customize at that scale is nice, but you might add a source that’s full of malware, and then having your privacy violated will only be a few taps away. Which is why you need to be careful about what sources you add to Cydia and what tweaks you download from these sources. What Are The Top 10 Cydia sources? Now the Cydia sources are clearly imperative, but there are hundreds of them, some even host malware that might not do exactly what it claims to. Which is why you need to decide carefully what sources you want to add because if you add a poorly curated source you might get your hands on a lot of wrong codes trying to steal your information. 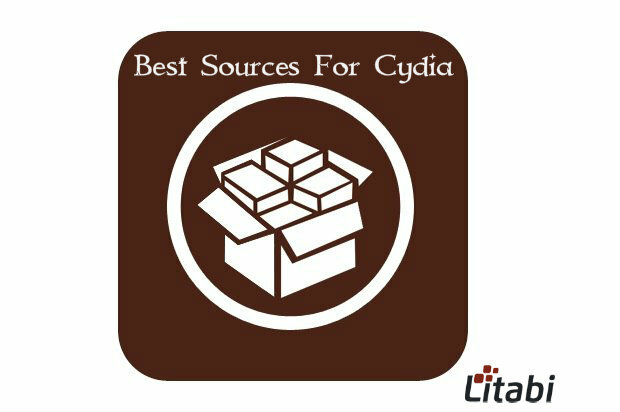 Thus, we have curated a top 10 Cydia sources list. It hosts an insane amount of insane tweaks that let you customize your iOS device like never before – you can make your iPhone look like whatever your imagination cooks for you. It will bring you the joys of having an unlimited collection of ringtones – any kind of ringtone you want you will find it here. It is the one for gamers – specifically gamers who love the classic games and can handle the joy of playing these games on emulators. This repository holds emulators for systems like NES, GameBoy and Nintendo 64 and have hundreds of games for each platform. You would get amazed with this excellent Cydia source as it contains a wide variety of iOS stuff to customize. It is like xSelizze except the games here are not emulator ROM’s – these are native iOS games. A strong hint of piracy. It is perhaps the most popular repository on Cydia, what would be a top 10 Cydia sources list without it? It maintains a small but well-curated repository of tweaks that you might enjoy. It is like SiNful iPhone except less popular with less content. But the idea is same. I don’t want to build the best sources for Cydia list without vShare. Yes, it is an awesome Cydia repo to download the iOS essentials without any hassle. I would say that it is worth to include BigBoss in the Cydia sources list as it has hundreds of stunning themes, apps and tweaks to try on your iOS device. And these are the top 10 Cydia sources for you curated by me, some of these sources are great, some of them are okay. They are all mostly safe, though, just be cautious of what you are installing and you should be okay. The thing with community maintained stores is that you never know what you are going to get, and sometimes you might get surprises that you might not like. What Are The Best Sources For Cydia? This is a list of the best sources for Cydia, think of this one as a top 3 list for the top 10 list, a more straightforward and personalized list, you can ignore the other repositories and just get these, and you won’t miss much. So let’s get to it! xSelizze is the best repository for gamers on iOS, and for the people who love classic games. Some excellent games you can find on this repository is unimaginable, and all the emulators work well. You can get emulators for NES, GameBoy and Nintendo64. What else could you ask for? It is more likely to change the look of your iOS with BigBoss Cydia source since it contains extensive themes, apps, tweaks and much more. If you have recently Jailbroken your iPhone, then I would recommend this amazing Cydia source for your idevice. Insanlyi is one of those repositories that – if not present in a top 3 list – makes the list completely worthless. So what’s the best sources for Cydia list without Insanlyi? You will find a trove of brilliantly crafted themes and icon packs to make your iOS device look exactly like you always dreamed it. It is the best source for Cydia list curated by us, we think these sources should satisfy most of your needs on Cydia after jailbreaking. We hope you learned something today about Cydia and its repositories; hopefully, this Cydia sources list has taught you the risks of adding bad sources to Cydia and the curated best sources for Cydia would satisfy your needs. Indeed, these Cydia sources for iPhone users has taught me about the risk of adding bad Cydia sources to configure my iDevice! This is my first time of learning of Cydia though. I guess its because I don’t use iPhone and have never had reason to jailbreak. However, the article is informative and I have bookmarked it for future reference! Thanks for reading the post and leaving your views. Like you, I too read about the Cydia sources for the first time, it is good. I’m using Android but my hubby is having iPhone 6. I’ve learned something new from this post and thus shared for Kinggers. Thanks for bookmarking this post, have a good day!